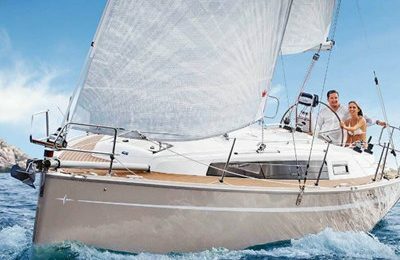 Welcome to 36′ Catamaran sailing yacht charter out of Barcelona,experience the city skyline over the sea . Welcome to Vilanova, just 30 minutes away from center of Barcelona, the place for local Catalonians spend their vacations. 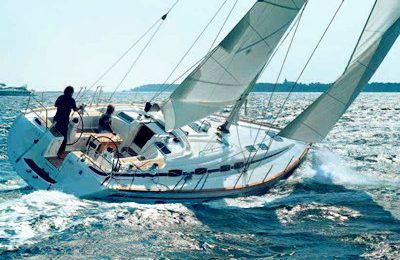 The 2008 36′ sailing catamaran yacht is from French yacht builder FOUNTAINE PAJOT,comes with a spacious cockpit entertainment area, a well designed working kitchen,and a comfortable dinning area with 360 degree of ocean view. Walk down to the front deck where there is a big sized trampoline, great for a sun bath or just relaxing. The yacht holds comfortably up to 12 Adults, comes with full kitchen and 3 sleeping quarters, 1 restroom. Departure from Vilanova marina, this marina has been ranked one of the most beautiful marinas in Europe. View the skyline from the sea, the sun is about to set over the hill, enjoy the breathtaking view along with a glass of champagne, a gorgeous night in Barcelona is right ahead. A refundable security deposit in amount of 500 EURO is required while aboard, you can make the payment through VISA/MASTER cards or cash. 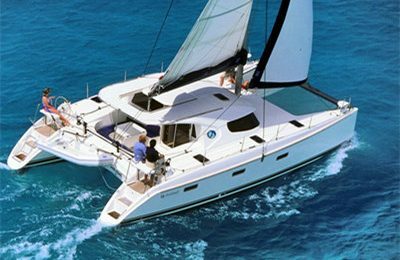 A 2008 36 feet ( 11.2 meters) FOUNTAINE PAJOT sailing catamaran yacht. 3 bedrooms, 1 restrooms & shower.